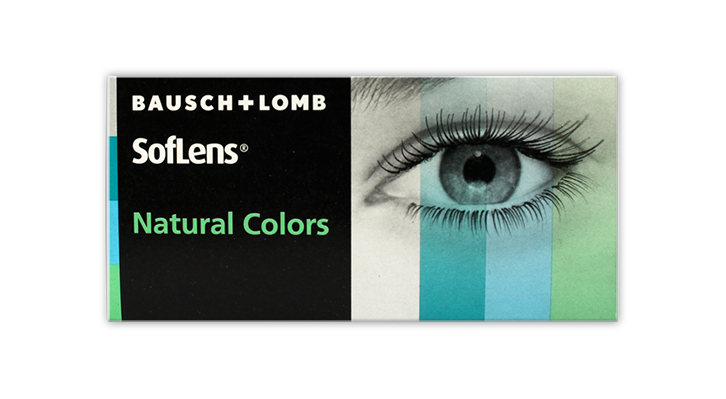 Soflens Natural Colours gives you irrisistable sparkling eyes for Dating, clubbing or just hanging out. Change your look and make an impact at anytime - whether you need corrective lenses or not - because Bausch and Lomb Soflens Natural Colors contact lenses are comfortable and easy to wear. 10 stunning shades of brilliant natural colors, created for all eye colours, especially dark eyes. 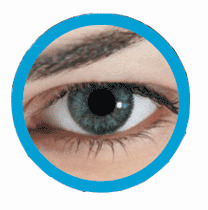 All colors represesented are only approximate and may appear different on the eye, depending on your eye color. complete waste of money, the colour wasnt right and more to the fact that they were very very uncomfortable! i wore them for five minutes and had to take em out! This is the first time I`ve ordered from this website. The service was excellent, and delivery was speedy (next day, surprisingly). Unfortunately, the lenses were not to the same standard. They were massive, slipped round on my eyeball, and, as a result, were hugely uncomfortable. The one thing I can say about these lenses is that they did change my eye colour...to bloodshot red. Im using Jade, the lightest of the greens here, its fantastic and looks very real. 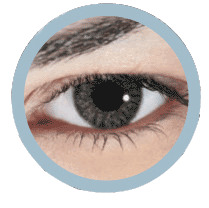 My eyers are dark brown and these drmatically and significantly lighten my eye colour, and are much much better than Freshlook which are much darker in comparison. 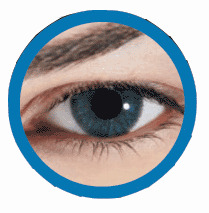 The comfort level is the same and these lenses have a dark outer ring which also adds beauty to the eye. 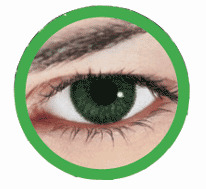 They also come in a smaller base curve which is good for me as i have a smaller iris. 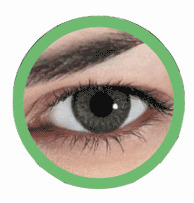 India (brown) blend well to produce a dark green when worn on blue eyes. 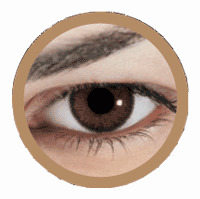 While the result is not as dark as colorblends brown which produces a green-brown, it is far more natural-looking & provides a striking black outline of both the pupil & iris - far thicker than that of colorblends. Frankly, colorblends look ridiculous. 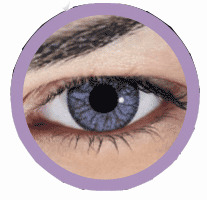 They have a massive gap around the pupil and are off-centered. I highly recommend these for a 33% lighter, but 2x better quality result. 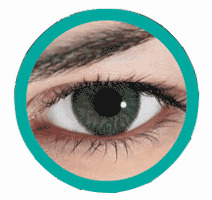 Also I feel the reports of discomfort are from first-time coloured contacts wearers. While the edges initially felt slightly noticeable in my eyes (similar to half that of wearing colorblends inside out), it took just several hours of wear for them to sit at the comfort level I'm used to with colorblends (I know they're there if I think about it, but I don't care). I bought brown (india) & naturally have blue eyes. The result is so much better than freshlook colorblends, which look absurdly fake with the massive hole around the iris (and to add insult to injury, off-centeredness). It's almost like they're trying to sabotage their customers! 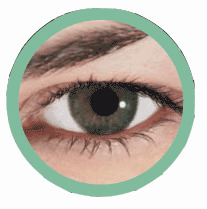 While the result of these is not as dark as colorblends (which produce a green-brown), it blends excellently to produce a dark green look with a strong black outline which is thicker than that of colorblends. The lenses themselves are simply brown, however. 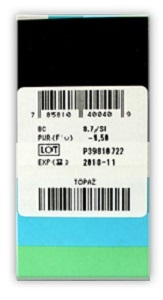 As for the reported discomfort, the reports are ridiculous and are obviously from first-time coloured lenses wearers. The edges initially feel slightly noticeable compared to colorblends (similar discomfort to maybe half that of wearing colorblends inside out), but I expect this is just a matter of getting used to them. Not impressed with these lenses, color is great but comfort is not. I will be using these for emergency only & will not be re ordering. Upon every blink, it feels like i have grit/sand in my eye (not good) & end up being very red/blood shot.